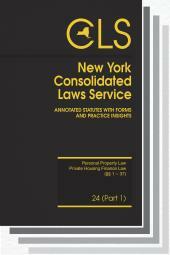 This Quarterly Update Service to the New York Consolidated Laws Service (CLS) provides timely updates to the service. 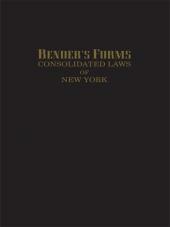 Not only does it offer the most recently enacted statutes and casenotes, it also provides updated law review articles, federal aspects and new NYCRR referencers. Updates are issued in February, May, August, and November in order to keep subscribers up to date on the legislative activity and the opinions issued by the courts in New York.